Stampeders’ Labour Day Classic is Back! 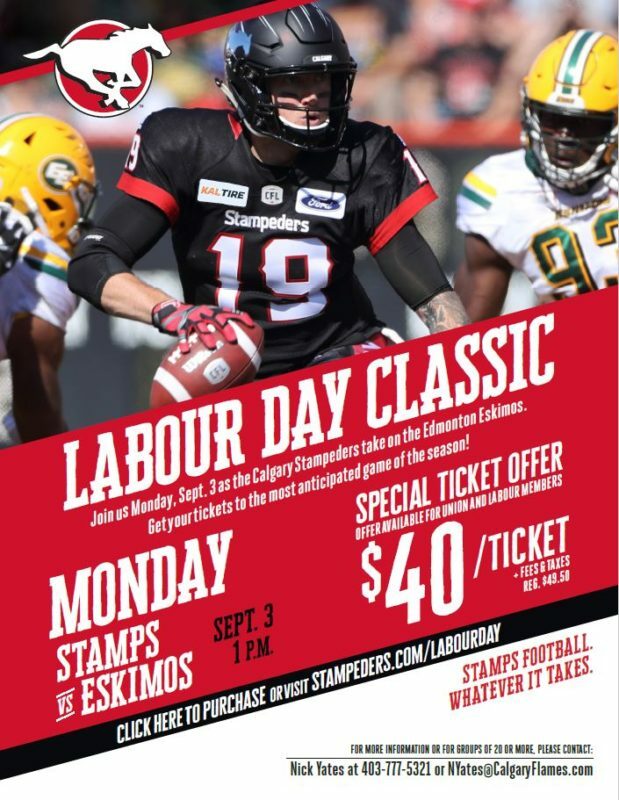 Every year the Stampeders organization offers fans, who are unionized workers, across the province a special discount on this annual showdown! There are many savings associated with union membership, and this is one of the more fun ways to save. As an added bonus this year, starting the second week of August, there will be a weekly prize draw for those union members who have already purchased discounted tickets through this promotional offer. All of the draw winner announcements will be made through their official Facebook event page. Have fun and see you at the game! Don't miss out on this amazing annual showdown!